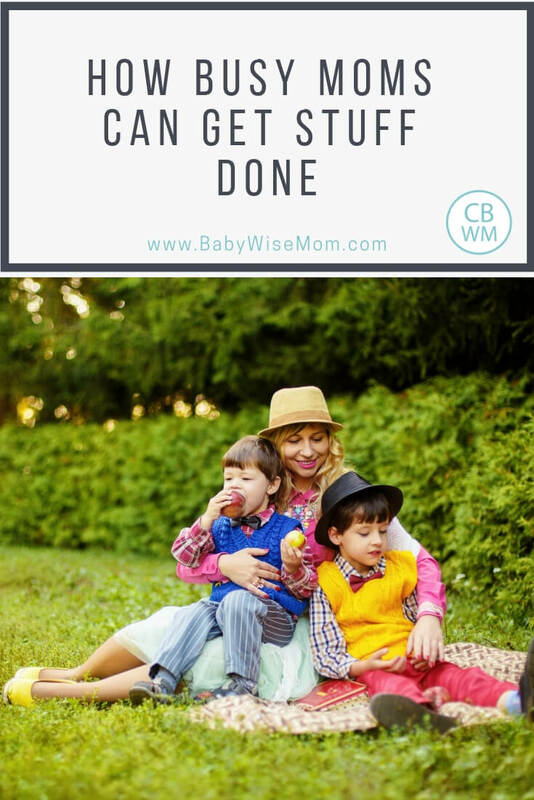 Tips for moms to be productive and get things done. Cleaning schedule tips, daily life tips, and a sample daily schedule of a SAHM. I get a lot of questions about how I get so much done in a day, not only on this blog, but among my family and friends around me each day. I have been asked so much, I thought I would try to formulate some thoughts on the topic and post it. Make and Keep a Habit: Whatever it is you are trying to do, make it a habit and keep it that way. The reason I wrote every day, even just to say basically nothing, was to maintain that habit in my life. Make Lists: I make lists. I make a list of everything I want to get done from large scales down to daily tasks. Manageable Goals: Make sure your lists and goals are manageable for you. There is no point in setting yourself up for failure. When you are successful, you can feel good about what you did and feel motivated for the next day. If you have a large goal, break it up into small goals. For example, I sew a lot. I have made all of the curtains, pillows, bedding, Halloween costumes, many clothes, etc. in our home. A recent project I did was my master bedroom. I made a list of all the things I wanted to make for the room, then broke those down into small goals. Looking at a goal of making a pillow is a lot less over-whelming than an entire bedroom set. If you over-whelm yourself, you are less likely to stick to the task. Be Realistic: Acknowledge and accept your limitations. When I have a newborn, I get significantly less done in the day than when my children are older. Recognize your limitations. There is a season for all things. Life is never stagnant. Do what you can when you can, but don’t beat yourself up for things you just can’t get done at the time. I know that when my baby is born, I will not be able to do as much with this blog. Because of this, I am writing posts well into the future. While this particular post is scheduled for March 13, I am actually writing it February 18. I have every Thursday written into June. I am hoping that when my baby is born, I will have at least two solid months of posts written. Then I don’t have to worry about it at a time that I know will be hard to fit it in, and I should then also be able to answer comments. I know to both write posts and answer questions would be more than I could do for at least a month, so I am doing what I can while I can. Plan it Out: Think through what you are doing from start to finish. This way, you can be sure to have all the supplies on hand. If you have to run to the store 5 times to complete one project, that isn’t a very efficient use of your time. This can be applied down to the smallest cleaning project. When I am going to clean something, I take the time to think through everything I need so I am not walking back and forth over and over. It seems small, but every moment counts, especially when you have young children. Dirty Work First: I always do the jobs I know I don’t enjoy as much first. Each day, I do some cleaning. I also do some blogging at least five days of the week. I enjoy blogging more than cleaning. I am sure to get my cleaning done first. Then I don’t lose myself in the Internet and not get my other things done. But, in my third trimester, I have found that I have to modify this. I can’t just clean for hours. I have to clean for a bit, sit for a bit, clean for a bit. I have to put time limitations on my Internet time so I can give my body the rest it needs. Don’t Procrastinate: I know some people find they work well under pressure. My husband is one who thrives on procrastination. I used to be a procrastinator. In high school, I spent many all-nighters getting homework done. I finally decided it was not the best way to be. All through college, I never pulled an all-nighter. I was an English major with many papers to write. My emphasis was technical writing, which required a lot of projects. My minor was communications where I performed study after study and also wrote a lot of papers. I was in the presidency of several clubs and organizations; I rarely had a night that did not have some activity planned. But I always had my work completed with plenty of time to do several reviews of it before turning it in. I graduated named the most outstanding senior. Procrastination does not produce the best results you can give. Prioritize: Prioritize your tasks. Some things need to be completed sooner than others. Some can wait. Some can be scratched all-together if you need to. Put the Lord First: This is something that I think is the biggest contributor to what I can get done in a day. I am sure to say my prayers in the morning. I also read my scriptures each morning before I do anything else. I have found that when you put the Lord first and do what He has asked you to do before other things, everything else comes easier and is faster. If you are religious, give it a try. Multi-task: Whenever possible, I multi-task. Those are some general tips. Now for a glimpse at my life to see how I fit everything in. Presentable: Something I try to do is keep my house in a position that if someone were to walk into it I would not be embarrassed. Granted, some days are better than others. Certain times of day are better than others. But this is what I strive for. This also helps me to look at things through fresh eyes so I don’t over-look clutter (I hate clutter 🙂 ). Let Things Go: Evaluate the time you have and what you can realistically get done at the moment. I am one who loves everything to be clean and spotless. I have come to accept that just isn’t possible in my current state. Everything has a season. My house is not as clean as I would like it, but I just have to realize the day will come when it can be. Daily: Each day, there are certain things that must be done. I make my bed in the morning. I do the dishes each day (my husband helps). My husband and I pick up the house after the kids go to bed each night. I help the kids clean up their rooms after they have playtime. Monday: Laundry. I do all of the laundry this day. Tuesday: General pick up. I pick up every single thing that is out of place in the house and put it away. Wednesday: Dusting. I dust the house. Thursday: Sweep. I sweep my floors. I have an entire floor that is hardwood, so it is a big job. Friday: Bathrooms. I clean the Bathrooms. Saturday: Floors. I clean the floors. I mop and vacuum. I will also do a general pick up this day so things are nice and clean for Sunday. Deep Cleaning: I would love it if I could deep clean more than I do, but I just can’t right now. I have a list saved on my computer where I have broken down deep cleaning tasks room by room. These tasks include reorganizing everything (where I take everything out of, say, the closet and put it all back, evaluating need for it. This helps you to remember what you have and helps you to organize things as you need them organized at the moment), cleaning floorboards, scrubbing grout, applying oil to wood, cleaning blinds and windows, washing all rugs and blankets, scrubbing garbage cans, etc. This doesn’t mean I never do these tasks at other times, but I have them on my list to do as I go through the room. I systematically go through each room, crossing off each task as I go. When I am done, I print a new list and start over. My goal is to do at least one deep cleaning task each day. I often try to do certain tasks at the same time as daily tasks where applicable. For example, Wednesday is my dusting day. Today is Wednesday. I plan to polish and oil all of the wood in my master bedroom today. Monthly Tasks: I also have tasks for each month of the year. These are seasonal. Some of them are the same as things on my deep cleaning tasks. For example, the month of March includes the task of cleaning all of the light fixtures in the house. Each room also has that task on its list for deep cleaning. Other examples for monthly tasks are scrubbing the deck, washing all windows inside and out, cleaning my jewelry, fixing all squeaky hinges in the house, and cleaning the driveway. Those are some things I have done to make my cleaning life easier. Monday: Family Home Evening. Each Monday night, we have family home evening. We sing hymns, have a lesson, read scriptures, and have prayers. We also have an activity that can supplement the lesson topic. Tuesday: Park Day. Each Tuesday during nice weather, a bunch of women and their children and me and my children get together at the park around lunch time. We bring our own lunches. The moms visit while the kids play. During bad weather, we will do other things on Tuesdays. Working With Youth. My husband and I both work with the youth in our church. He works with the young men, ages 14-16, and I work with the young women, ages 12-18. Each Tuesday night, we each have activities with the young men and young women. Wednesday: Most Wednesdays of the month are free for us. Once night of the month I have a church activity with the other women in my church. Another night, we typically have other church service activities scheduled. Thursday: This varies during the year. Currently, I have choir practice and my husband has basketball games. Friday: Fridays are always busy, but with different things. We often go on a date night on Friday. Sometimes we get together with other couples and/or families. Saturday: Saturdays are also busy with similar activities to that of Friday. If we are home during the day, we work on projects around the house. Here are some samples of my daily schedule and when I do what. This is obviously something that is very dynamic. I have to adjust with the weather and also with what is going on. When I am in my first trimester, I sleep a lot more. When I have a newborn, not much else gets done :). 6:00 AM: I typically wake up at 6:00 AM. When I am in my first trimester or when I have a newborn who is yet to STTN, this is not the case. When I am not pregnant, I wake up and shower, and read scriptures. When I am pregnant, I wake up, eat, and read scriptures. I then make my bed before I get the kids up. That seems to be something I don’t do if I don’t do it in the morning. If there is time before it is time to get the kids, I will then either clean or check email–this depends on the amount of time and my physical state. When I am pregnant, I need to sit still for a bit after I eat. 7:30 AM: Right now, my kids get up at 7:30. In the summer, it is usually earlier, and when the new baby arrives, I currently plan on it being 7:00. They eat breakfast. Currently, while they do, I unload the dishwasher. Typically, I would eat breakfast with them. After breakfast, both children are required to help clean it up. 8:00 AM: My next free time of the day is sibling playtime. I currently will do my deep cleaning task OR my daily cleaning task, whichever I feel like. If I have something noisy I want to do (like vacuum), I will do it here. I then shower. After that, I will do more cleaning or do computer stuff if there is time–it depends on if I am feeling the need to sit or not right now. 9:00 AM: The kids take a bath. While they take a bath, I do my make-up and hair. 10:00 AM: Independent play for both kids. This is when I will sit and write a post and other blog stuff. I will also do some cleaning if needed during this time. 11:30 AM: Make lunch. While lunch is being made, I will pick up around the kitchen if needed. After lunch, we clean up lunch. 12:45ish PM: I start getting the kids toward naps. They both have to go potty before naps and it takes some time to do that and tuck them both in. 1:00 PM: Naptime starts. I then right now typically need to sit for a bit so I will do more computer things for a little bit. Then I start working on a project. It might be scrapbooking, it might be sewing, etc. Whatever I am working on at the time. I continue to work on things through the afternoon until all kids are up and my husband is home. I will make dinner in this time frame if I haven’t started it earlier in the day. We then have our evening activities. After dinner, the family helps clean it up, including dishes. That is a rough outline of how I do what I do each day. Hopefully that makes sense. Let me know if you have any questions! wow, thanks for that post. 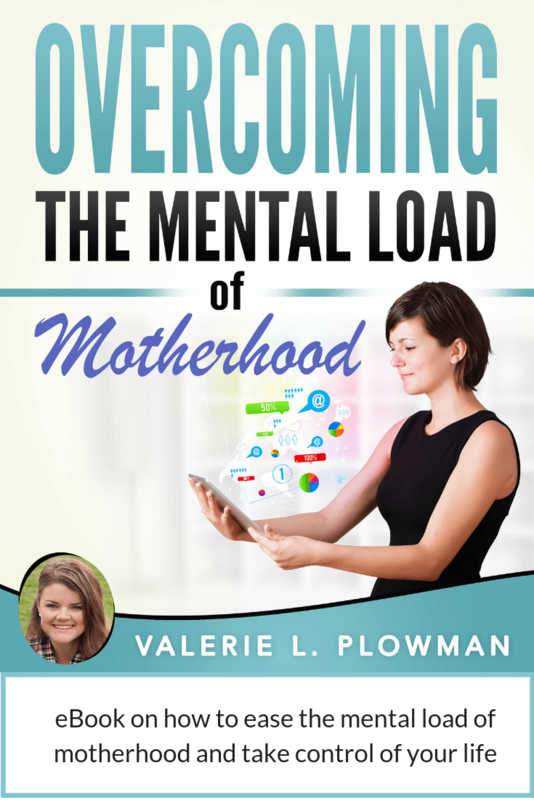 it’s always helpful to know how other moms carry out the huge undertaking of keeping house and taking care of the kids. i’m very impressed by your level of organization! i like it! Are you familiar with Cozi? It’s a downloadable calendar/to do list/family journal/etc. I love it because you can text your grocery list to your phone- or hubby’s :). It’s free. It also has a great screen saver with all you digital photos in a cool collage. Wow you are so organized! I have such a desire to be like that but actually “doing it” is so hard. At least I’ve got most of Joshua’s day organized which is a good first step. I really wish I was a morning person because I want to get up and exercise but I literlly feel like “death” when I wake up in the morning and only my son’s awake noises can get me out of bed! I have to admit that most of the things on your deep cleaning list I simply never do. I need to be better! Wow! You’re pretty amazing! I aspire to be that “together”. It does comfort me to know you studied English and Communications. It explains (in part) why you are so good at this. I just want to thank you again for sharing with all of us. We benefit so much. I’m sure you are blessed for it! I’ve been reading your blog for a while as I have a 12 week old we’re doing babywise with (this is our second babywise kid). I’ve also been wondering if you’re LDS – as I am too. Anyhow, thanks for the great info. One thing I’ve found to be a great help in my “quest” to raise kids and maintain a clean house (!) is the website Flylady.com . In short, she’s developed a “system” for keeping up with the housework by doing only a little each day and developing a routine (sounds like BW huh?!) to maintain a clean home as opposed to the frantic major overhaul the day before (or same day!) company comes over that we’re all so used to.Specifically, her idea of creating a “Control Journal” has been a huge blessing to me, simply because I have lists in front of me for every part of my house that need to be accomplished. When that zone is the “zone of the week” then I know exactly what needs to be done. Plus, she’s also really big in the idea of “Decluttering” our homes, so that we can enjoy them more, our kids can enjoy them more, and they’re less chaos and more peaceful. I’ve found that Flylady and our BW routines have complimented each other very well, as I know exactly when my “free” times are each day according to my boys’ BW routines and so I know exactly what needs to be done according to my Flylady schedule and can fit it in. Hope this helps someone! Thanks for this post! It gave me some great ideas. I’m sure you will be very busy in the coming months with a newborn but if you have time I’d love to hear regular updates of how your sleep training goes. It would be nice to get an insider look of the regular ups and downs and problem solving that goes into sleep training with a newborn as I contemplate having another child! Thanks again for the great blog! Would you consider linking your deep cleaning task list on here? I have a list, but yours seems so much more comprehensive and I would love to get more ideas. Maybe you could make it into a pdf file and post it somehow. Thanks! You’re amazing! mtmommy,I think I have heard of that before. Thanks for the info! Young family,Thanks for that idea. My Mom loves flylady. Thanks Shrin! I am glad you like it. Val, you mentioned you and your husband both worked with the youth (at the time of this post). How did you handle bedtime if you both went to mutual? I have an 8 month old and he doesn't handle staying up past bedtime very well – not to mention he is trying to drop the 3rd nap, so some days he needs to go to bed even earlier. Did you have family help, or what? Any insight would be appreciated (we're in the same boat)! The Spanns, sorry this is so late!We had (we both recently got moved to new callings) my parents come over every week. They put the kids to bed. We had lots of people from the ward offer to watch the kids when my husband first got put in (I had been in for a year already), so if I were you, I would annouce in RS that you need someone to do that for you. I bet someone would do it. It is tricky since you are with the youth and can't get them to babysit 🙂 but there should be someone. jeremiahhurt,let me know if you still want meal ideas! Hello, there! First, let me say, THANK YOU! I appreciate this website SO much. I just had our second child, and am currently trying to figure out how to go about getting things done. I really appreciate you sharing your experience in this area. Anyway, I saw that "Jenna" asked if you would mind posting your deep cleaning list. I, too, am interested in referencing it, and cannot seem to find it. Am I missing it? If you can't post it or something, that is no problem, I am just wondering if I missed it. Thanks, again! Val,Thank you for this post! I, too, am interested in your deep cleaning list. Right now I focus on the "magic minimum" from organizedhome.com as I have three boys and homeschool. I would also love to know your favorite slow cooker recipes. Jeannine, both my parents and inlaws follow my instructions quite well. I don't think my mom was a big believer in the beginning, but she loves it now. I am not sure how old she is…your age had a "^"–maybe that means something and I don't know it? 🙂 For younger babies, I am more of a stickler to schedules. As they get older, I let things slide.You have to find the balance between letting things go and sticking to what is necessary. I stick to things that in the end have a negative impact on the child. That is why I am stricter with young babies. Fewer naps is hard on their bodies and it takes them weeks to adjusts. Toddlers can adjust really quickly, so I am not so worried with them.I plan to do a post on this type of topic, so I will go into it further. Sara, I should probably update this post. I wrote it back when I was pregnant and had two kids, so life with three and not pregnant is different :)My "bedtime" changes with what is going on. I of course need more sleep when pregnant than when I am not. When I am nursing I tend to be more diligent about a good bedtime. Right now, I typically go to bed around 10:30-11:00 and get up around 6-6:15 AM. 7-7.5 hours of sleep is perfect for me at night. val, i would love to see an updated post on your schedule. i have 14-month-old twins and i need to get better scheduled myself for when they are ready to drop their first nap. how do you handle getting things done and home and errands/play dates that you need to run out for? i'm worried that i'm becoming too much of a hermit and want to set a good example for my children about balancing home responsibilities and life outside the home. I'm so excited about this blog. It helps so much to see a sample schedule. I am new to this blog. My son is almost 16 months old & in the last 2wks has started w/tantrums, melt-downs & fake whining. He doesn't like seeing my husband (his dad) & I hug, show affection or talk. After starting to read TW (I've already read & implemented BW 1&2), I realize Carter needs more attention & structure in his awake time. He is still taking 2 naps, sometimes one but he isn't fully ready to convert to 1 nap. Do you have any suggestions for age-appropriate table-time or structured play activities/crafts. Also Carter HATES his carseat. I've tried blanket, toys, dvd player (which he doesn't really acknowledge a tv on in the room anyway), singing, etc. Carter last about 15-20 minutes & then has a melt-down in the carseat & starts throwing the toys into the front of the vehicle while I'm driving…this too started in the last 2 wks. Any suggestions about what to do about this? I am hoping that once he has more structure & restrictions during play time that he will begin to enjoy his carseat. He truly hates being tied down to the seat. Thank you so much for doing this blog & GOD bless you, your husband & your 3 wonerful children! LaChelle,As for some activities, see the blog http://learningdevelopmentactivities.blogspot.com/. I am one of the authors and all three of us are BW moms. It is normal for kids to hate the carseat, especially children who are active. Brayden was super active and I always gave him snacks to eat in the car. Other ideas are books on tape and toddler tunes. GibbsThere is a post titled "getting a consistent schedule" as well as posts on starting babywise late that will give you a lot of guidance.To put it shortly, first focus on feeding every 2.5-3 hours. Don't worry about beyond 3 right now. If he wakes after 45 minutes, first do what you can to try to get him to go back to sleep. If he won't, feed him. At that point, it will have at least lengthened the time before he eats by at least 15 minutes. See also the "45 minute intruder" posts and "naps; troubleshooting revised and updated post"–but realize that short naps initially are normal. As he gets more used to the routine thing, his naps should lengthen. hi valyou mentioned on your post today "how i get it done, chores" that you have a menu planner… i followed the link..its cute!! my question for you is, where do you get your inspiration for WHAT you are going to make?? if you have anything to share on this i'd love it!PS we LOVE our SnuggleU!